If there is one thing Apple is known for, it is being able to tie all of their products together, as a fully functioning cohesive unit. In customer’s continuing search for the best and easiest ways to access their iTunes music library, many consumers who purchase an Apple TV device quickly realize just how much they enjoy using the AirPlay feature. With the device’s quick HDMI set up, users can instantly connect to their existing Wi-Fi Internet service, and generate an intuitive ease of locating exactly how they want to be entertained. 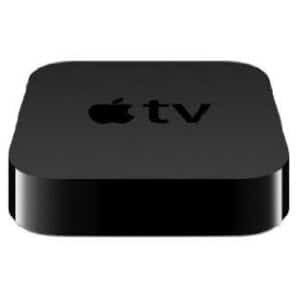 With the ease of connecting to iTunes and YouTube, Apple TV allows you to instantly sign in and synchronize your existing iTunes account, gaining immediate access to your media. 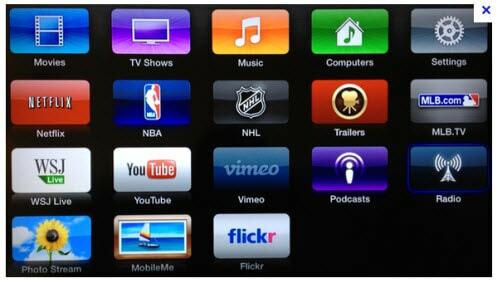 You can rent or purchase TV episodes and movies through the iTunes interface, and watch them on your television. Apple TV also plays YouTube videos and connects to Pandora , a free online music source. 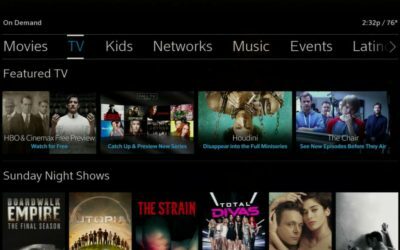 Apple is beginning to move the majority of its TV catalog to iCloud (although some deals are still in negotiation), meaning any 720p HD content you own will be automatically upgraded to the more enriching 1080p. The heart and soul of Apple TV is AirPlay, an amazing feature that gives you the ability to stream content (audio/video) from any Apple mobile device (iPhone, iPod, iPod Touch, iPad, etc.) directly to your television through the Apple TV device. 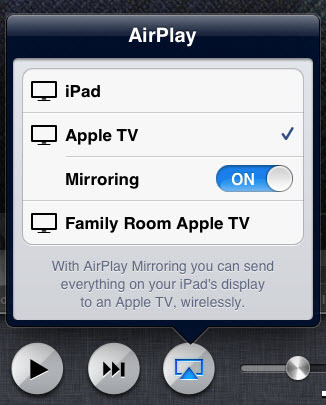 By simply pressing the AirPlay symbol, you can begin watching a video on your mobile device, and instantly transfer the signal to view it on your television. Your Apple TV device allows third-party accessibility, to connect to services like Hulu and Netflix (although a separate subscription is required). With Apple TV’s new single core A5 chip, the device finally has the ability to display rich 1080p content, offering a richer viewing experience. Because the device runs on a version of iOS, every application made in the future will likely be available on your TV screen. The new “Home Screen” of the device now offers more storage for your own personal media (static/dynamic, audio/video) content. With its social media tickers and interactive program guides, the new Apple TV device can literally connect you to limitless entertainment. Apple desires to enrich your online TV experience, over traditional methods, and provides you the ability to garner more and better content. Leave it to Apple to create a life changing entertainment experience for just $99.